Seiler A, Cederlund G, Jernelid H, Grängstedt P, Ringaby E. 2003; The barrier effect of highway E4 on migratory moose (Alces alces) in the High Coast area, Sweden. 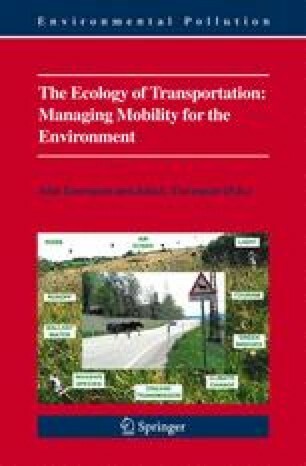 In: Turcott E (ed) Proceedings of the IENE conference on “Habitat fragmentation due to transport infrastructure” 13-14 November 2003 (http://www.iene.info), 1-18. Brussels.